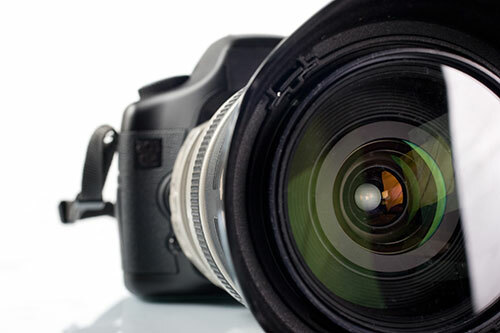 I was recently asked this question: "I have a 18-55 mm and 75-300 mm lens. I am considering buying a 16-270 mm. Is this a good idea?" My first instinct is to say no. Between the two zoom lenses you already have, you cover pretty much all of the ground a 16-270mm lens is capable of perusing plus some. Also, as a rule of thumb, a range with a longer lens (ie 16-260mm) is not normally going to produce the same quality as a lens with a shorter zoom range (ie 18-55) or a prime lens. I would look into lenses that cover ground my current gear doesn't but ultimately, it truly depends on the type of photography you shoot the most. Let me explain. First, if you're not sure about what the 'mm' on a lens means, see my explanatory article. What Do You Photograph The Most? If you shoot portraits, think about some prime lenses. 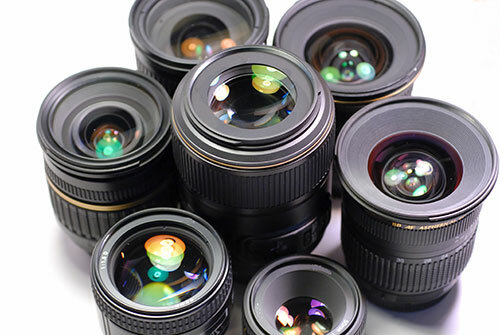 A prime lens is a lens with a fixed focal length, unlike a zoom lens that has a variety of focal lengths built into a single lens. They are less versatile but prime lenses usually allow you to open the aperture up wider (remember, lower numbers equal larger apertures) to help you subjects pop off the background and create some really nice, creamy bokeh. Bokeh is just the fancy technical term for the blurred background behind your subject. My ‘go to’ is an 85mm lens because it gives me enough space that I’m not crowding the people I am photographing, while still allowing me to be close enough to communicate posing instructions. 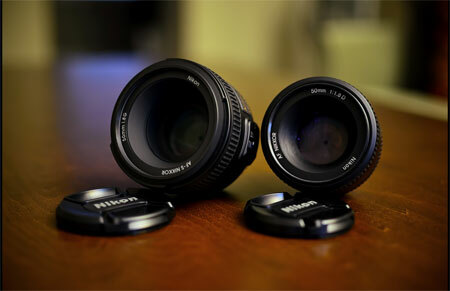 Here are two great examples of Prime Lenses with wide open apertures: Canon 50mm f/1.4 Prime Lens, Nikon 50mm f/1.4 Prime Lens. 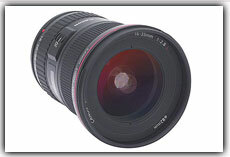 Of course, you can purchase lenses with even wider apertures, like this Canon 50mm f/1.2 but it's 10 times the price! If you shoot landscapes, start looking into an ultra-wide angle prime lens like a 10mm lens or a short zoom lens, maybe 10-24mm. One of these specialty lenses will allow you to get more in your frame without having to splice together multiple photos and since it’s made specifically for those hard to reach corners, you won’t have to worry about the quality of your final product. If you primarily photograph wildlife, look into a super telephoto that can extend beyond the reaches of the 75-300mm lens to give you a larger range, like 400mm plus. Those extra millimeters are going to give you the ability to get even closer to wildlife without moving an inch or spooking any animals before you get the perfect shot. That being said, one situation where I believe that 16-270mm lens could be a smart addition to your gear collection is if you are upgrading one of your other lenses or purchasing a better quality lens than the two you already own. When you go into the store and you see two lenses with the same range but with a $1000 price disparity, you are paying for the quality. 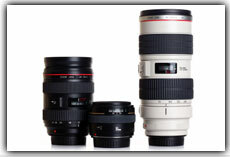 All lenses are not created equal. When you upgrade you often get a lens with better internal glass optics which means you will be able to create clearer, better focused pictures with tack sharp lines and details. Upgrading a lens also means better build quality and heftier materials to protect all the important internal mechanisms and glass inside. As a bonus often, the deluxe model has the ability to open the aperture wider and let in more light than the budget version; this makes shooting is difficult lighting situations considerably easier. pls i use nikon cameras before but just purchased canon 6d body. pls what types of lenses would i need? i does much of portraits and weddings. I got a Nikon D3200 a year ago which came with 2 kit lenses. 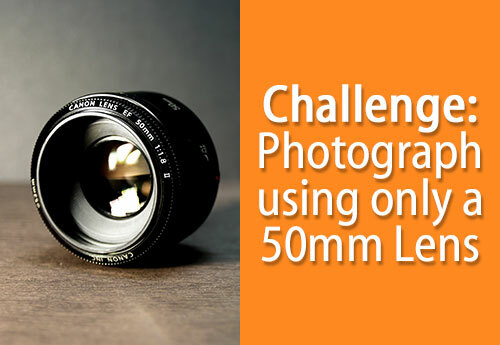 Lenses are a 18-55mm and a 50mm. I have enjoyed taking lots of good photos with these lenses but I feel it is time for me to upgrade to a better quality lens especially to shoot landscapes. 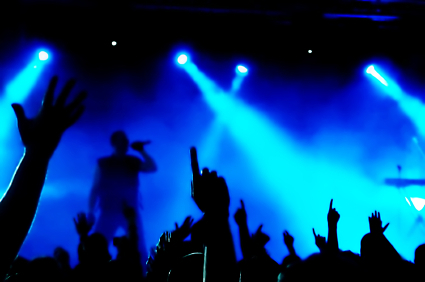 What is important for me is the image quality and that I can capture what I want in different lighting conditions. I am not a fan of using flash and prefer to use natural lighting as much as possible. It seems that you think a 10mm will be suitable. What aperture will be ok to go with? Can you think of any lens to recommend? I also don't know if I should go with a fisheye or a normal lens. For landcapes, the aperture doesn't really matter, as you will want a closed aperture (large f-number) to make sure the whole scene is in focus, and all lenses can close the aperture. 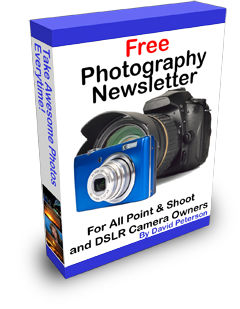 Their main selling point is how OPEN the aperture hole can get (ie low f-number). But it also depends on your budget. There is a Sigma 10-20mm f/4-5.6 for half the price - but you are going to get less quality with that lens. I am an amateur and love to shoot high school and college basketball games. I have a Canon 7D. I have been using my canon 70-200 ll with it, but when I am under the basket it's hard to get a good shot because they're to close. That's when I like my 18-200. I can't move further back because the gym is to small. Any suggestions? If you are too close with the 18-200, then you will need a fish eye lens, like a 12mm or even 10mm. I was interested in your comment about not getting a 16-270mm lens if one has a kit 18-55mm and 75-300mm. I can see the point that one probably has all the mm range you need. However you did not mention the sheer convenience of being able to shoot closer and further with a single lens and not being bothered with changing lenses while on an animal safari or traveling or even street photography. It can be a pest in certain shoots to keep having to anticipate which focal range you are going to need and swapping lenses may not be practical. Maybe a creative amateur can have more fun with a cost effective 16-270mm than having to miss a shot because the wrong lens is on the camera when something exciting happens. It depends on your point of view. You are correct if you value convenience over shot quality. 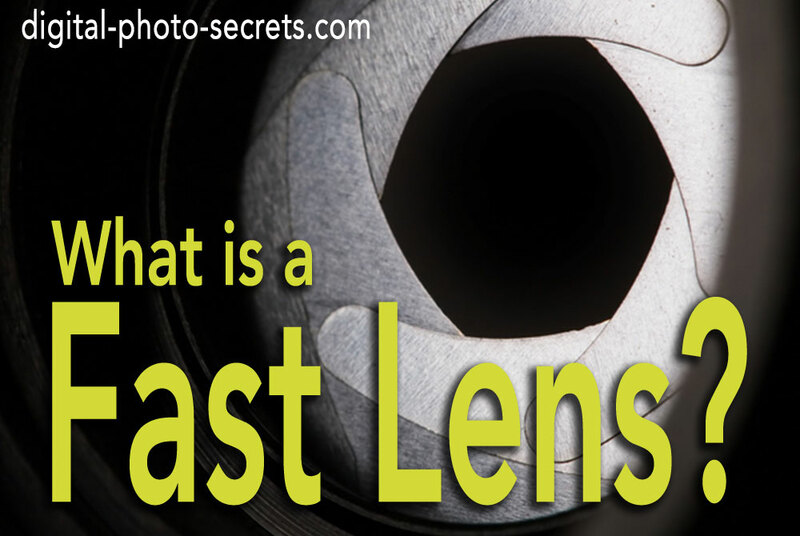 If you value image quality, then two lenses are the way to go. I phrased my answer the way I did because most readers are photographers who are looking to get a take better photos, and sometimes choices like lenses with large ranges are the CAUSE of bad photos. I just upgraded from D3000 nikon to Nikon D90 with 18-105mm but iam not enjoying the quality of the pictures because of the lens. which lens can you recommend that can give me a sharper pictures? I assume your sharpness problem is mostly when you zoom in? When zooming in, I highly recommend you use a tripod (or have your shutter speed set to at least 1/100 sec) otherwise your images will be slightly blurry from camera movement while the shutter is open. As a rule of thumb, shoot with a shutter speed at least the inverse of your focal length. So when zoomed in at 100mm, make sure your shutter speed is faster than 1/100 sec. I am an amateur and recently purchased a Sony NEX-6 with the kit lens SEL16-50mm and a SEL55-210mm lens. 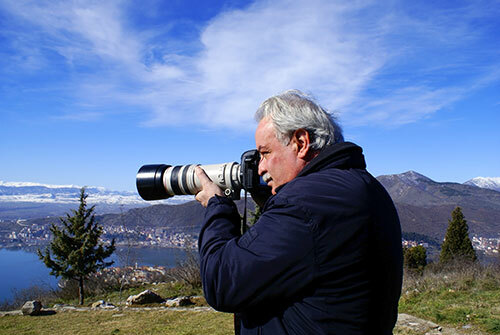 I travel a lot and am considering an all-in-one lens such as the 18-200mm lens. I read the reviews on Sony's SEL and SELP 18-200mm lenses, as well as using other brands via an E-mount adapter. I want quality images. Should I purchase now or wait until Sony upgrade the SELP lens (noted a few cons from reviewers)? You're never going to get the quality with a lens that has a wide range of focal lengths (ie 18-200) vs lenses with a narrower range. So if you want quality, you should stick with two lenses. 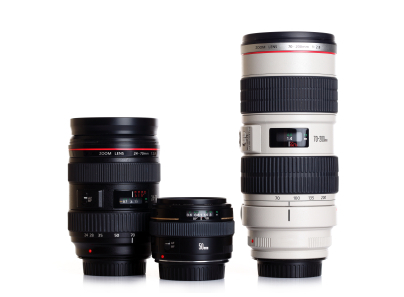 Another option could be to keep one of your kit lenses and purchase a prime lens for the other lens (like 50mm or 200mm prime). These have outstanding quality, and are really suited if you don't need to zoom in or out much. 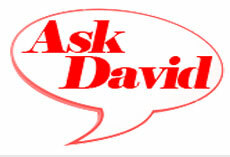 Ask David: I want to upgrade from my 18-55mm lens. What's next?